The Funk Hunters are one of Canada’s busiest electronic acts. Performing their signature high-energy DJ sets and groundbreaking Audio-Visual show at some of the world’s most popular music festivals and clubs has earned them an international following. The duo (Dunks & The Outlier) first teamed up because of a mutual love for “Hunting” good music, and today this passion still rings true as they continue to champion the simple but often lost idea that the music itself comes first, regardless of attachments to genre. The Funk Hunters name is now in high demand, receiving bookings, accolades, and remix requests from all corners of the electronic music scene. Armed with 4-turntables, their very own custom synched visuals, and the unique ability to create live mashups and remixes, their live show stands out. 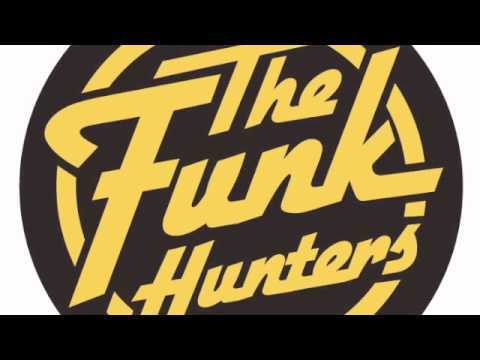 Seamlessly blending original productions with everything from Hip Hop to House, Glitch Hop to Drum & Bass, and everything funky in between, The Funk Hunters create original sets never replicated. Refusing to be confined by genres, it’s not uncommon to find this duo headlining an all bass music festival one night and then performing a funk, soul, or boogie set the next. Their new Audio Visual show continues to see them push boundaries, merging their skills as Music Producers, Visual Artists, and DJs, into a truly unique and live experience. By producing their own custom content, they’ve managed to avoid the stigma associated with ‘music-video DJs’ yet still preserve their improvised multi-genre style DJ performance – only now they’re equipped with synched visuals, controlled straight from the turntables. This summer has also seen the duo redefine the limits of their live show, adding in both live Saxophone and Guitar players for their festival tours, truly transforming their performance into a LIVE Audio & Visual spectacle. 2013 has already seen the duo tour through the UK & Europe, play headlining slots at some of North America’s most popular music festivals including Shambhala, Ottawa Blues Fest, Bass Coast, What The Festival, Evolve, Squamish Festival, and Rifflandia, as well as continuing to tour coast-to-coast throughout North America with shows all the way from New York to Hawaii. This year has also marked the birth of their second record label, Westwood Recordings, new home to their all original productions, as well as further releases on their 2012-founded imprint, ReSoul Records. They’ve also recently completed a month-long tour of Brazil, several cross-Canada tours, and continue to receive invites to share the stage with musical pioneers like Z-Trip, RJD2, and Cut Chemist. On the production front, their original music and remixes have been played around the world in clubs and on radio-stations alike. Signed to Westwood Recordings, ReSoul Records, Adapted Records, Roca Records, Fort Knox Recordings, Ghetto Funk, Manmade Records, and Bombastic Jam, The Funk Hunters’ releases prove again that their musical taste and influence spans all genres. Their recent releases on ReSoul continue to chart in the #1 spot in all genres on the UKs JUNO Records Sales Charts while their free downloads and classic remixes continue to gain them top spots in both the Soundcloud Hot Tracks charts and their fans iPods alike. With the push to produce more original music and further evolve their live stage show, some exciting tours and major collaborations are on the horizon for Canada’s fast-rising electronic duo.